What's the same about identical twins -- and what's different? Sleepovers, poetry projects, and new haircuts are in play as seven-year-old Arlene and Ilene start coming into their own. Arlene and Ilene love so many things about being identical twins. They like sharing a room, sharing friends, and wearing matching outfits. But they're in different classes at school, and one twin has a scar that the other one doesn't. One morning, their friends Monty and Joey point out a new difference that takes the sisters by surprise and gets them thinking: if they are identical twins, why are there differences between them at all? Their tongues must be the same, so why do they like different kinds of ice cream? Why does Arlene wear pink nail polish while Ilene thinks it's silly? Why is Ilene sleeping soundly when Arlene is awake, wondering how she can be sure that she is Arlene, not Ilene? 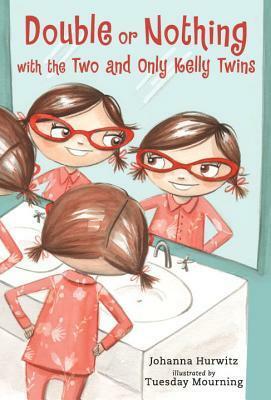 Revisit the funny, lovable characters from The Two and Only Kelly Twins and take a peek at the wonders -- and puzzles -- of being an identical twin. Johanna Hurwitz is a former children’s librarian and the award-winning author of more than seventy books for children, including The Two and Only Kelly Twins and four books about Arlene and Ilene’s friend Monty, who lives on their street. Ms. Hurwitz divides her time between Great Neck, New York, and Wilmington, Vermont. 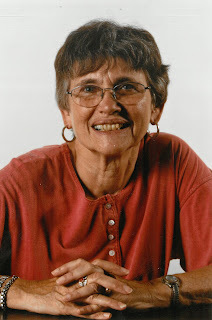 To learn more, and to download a free curriculum guide, visit her website: johannahurwitz.com. Johanna Hurwitz’s lovely interview with the NYPL. *What did you enjoy most about writing a story about twins? Although I was not a twin, nor ever gave birth to twins, suddenly by writing about Arlene and Ilene, I did indeed become their mother. I thought about what they might say and do together, how they would get along and how they might sometimes argue. In other words, they were just like all siblings with the added difference that they didn’t appear different at all. *What do you enjoy/dislike the most about writing in general? Just as reading books has expanded my world and allowed me to travel anywhere and in any time period, similarly I love writing because I enjoy the chance to do the same thing while sitting at my desk. Even writing fiction, authors do research to help fill in the blanks in their knowledge. I visited a llama farm when I wrote A LLAMA IN THE FAMILY, read old newspapers on microfilm when I wanted to know more about the tornado that my mother had lived through in Lorain, Ohio in 1924 when I wrote THE RABBI’S GIRLS, visited the Baseball Hall of Fame when I wrote BASEBALL FEVER. I’ve learned so much by writing fiction. What do I dislike about writing? Sending off a completed story and discovering that an editor didn’t like my efforts. *What advice would you give to a child wanting to be a writer? The best advice I can give to a child wanting to be a writer is to read, read, read. All writers read a great deal. By reading one learns how to pace a story and make it interesting and exciting. The other piece of advice that I give children and adults too is to believe in oneself. Do you know how many times J.K. Rowling’s first book about Harry Potter was turned down? *What do you enjoy reading? I love to read novels, memoirs, books with humor, and books about travel. *What is something that most people don’t know about you? 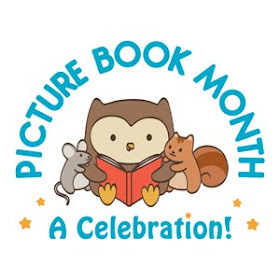 I am still friends with the fourth grade classmate who illustrated my first “book.” Of course the book was never published because it really isn’t very good. But my friend Marilyn made wonderful pictures and I’ve kept the book all these years to prove to everyone that I started writing a very long time ago. One lucky winner will receive both books featuring the Kelly twins--THE TWO AND ONLY KELLY TWINS and DOUBLE OR NOTHING WITH THE TWO AND ONLY KELLY TWINS (U.S. addresses), courtesy of Candlewick Press. 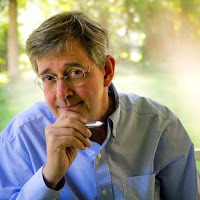 Information about his books, selected readings, art process videos and activity ideas can be viewed at www.willhillenbrand.com. 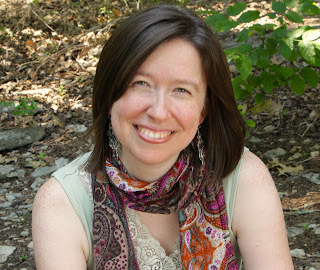 Connect with Will at www.facebook.com/willhillenbrandbooks. 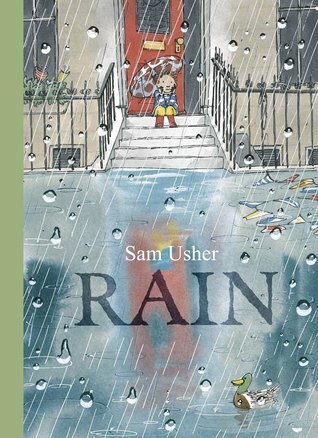 There was so much in this book that I could relate to, as could any parent or teacher who's had to remind a child to share. Big Bear has a great big bucket of berries that he is very much enjoying. But he doesn't notice that all his friends are interested in the berries also. So the oak tree tells him to, "Share, Big Bear, Share". Unfortunately, Bear misunderstands and thinks the tree said "Hair, Big Bear, Hair" so he fixes his hair. This happens several times until the tree loses his patience (something any parent or teacher could relate to after having to repeat him/herself several times) and yells at Bear. 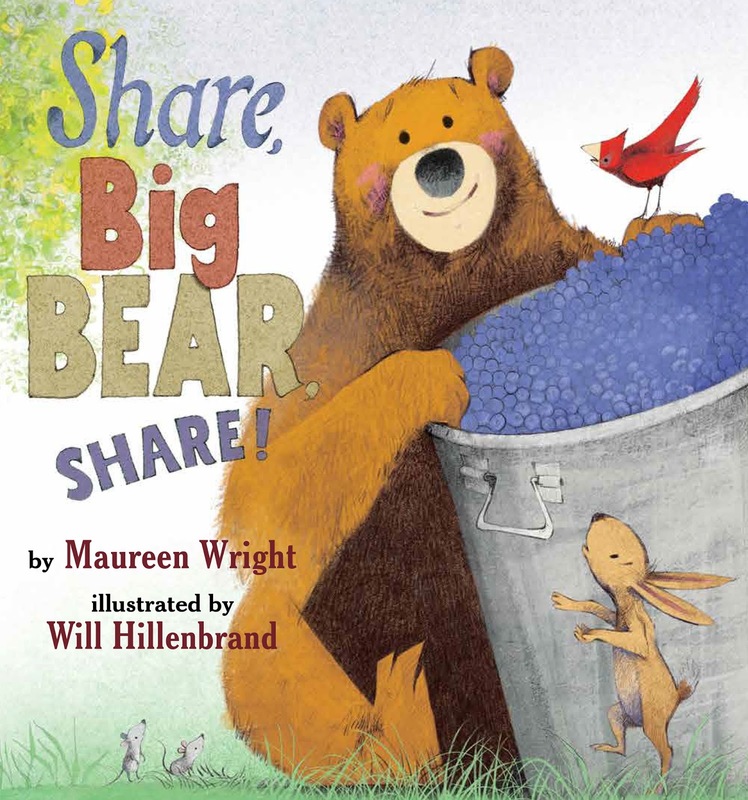 There are numerous themes in the book related to sharing, listening, patience, and friendship. 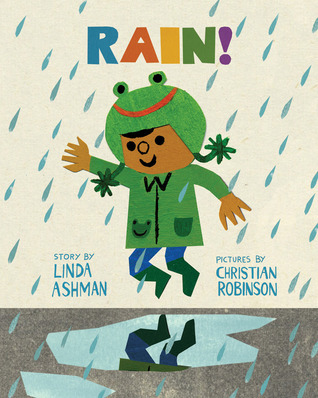 The adorable illustrations carry the day but the rhyming text works well too. With fantasy becoming such a dominate genre in the last 20 years (Thanks Harry Potter!) there have been many books published in that genre with more coming out every year. It also seems though that as more fantasy books have been published they have also gotten longer with many fantasy books becoming series. Now I have nothing against series, in fact, I love series, they allow me to meet favorite characters again. But for younger readers who aren't ready for big, long fantasy series there is a lot less to choose from. 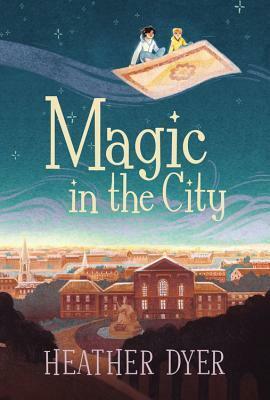 That is why I'm delighted to highlight Magic in the City. Not only is a stand alone novel, but it's an easy read with lots of action and interesting things going on. This is a fantasy to hand to a reluctant reader. 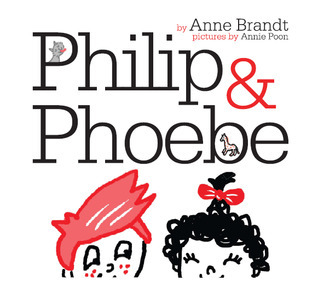 The story focuses on Jake and Simon Grubb who have left their home in Canada to come stay with their cousin Hannah. But neither of them is happy about leaving their home, father, and friends behind. Things take a turn for the more interesting however when they meet a magician getting rid of his magical equipment. They end up with a stopwatch, a camera, and a carpet, all of which the magician claims are magical. When the claims turn out to be true, Jake, Simon, and Hannah end up on the adventure of a lifetime involving flying over the city of London, visiting Buckingham Palace, and traveling through time. Unfortunately, like most adventures, things go wrong from the beginning and the children must find a way back to where they started before it's too late. There is much here to enjoy as Hannah tries desperately to stop her cousins from getting into trouble (she fails). The variety of adventures and the twist at the end make for an entertaining and quick read. When Queen Beetrice and her beehive opens for business in the Grumpy Woods, the Super Happy Party Bears are excited--they LOVE honey! But the other Grumpy Woods residents are very unhappy with all the noisy buzzing going on, and they boycott the bees! Too much sugar sends the bears into early hibernation and soon the woods are overflowing with uneaten honey. The townscritters need a fast solution to the sticky situation--and so they decide to throw an Un-Slumber Party to wake those bears up! The Super Happy Party Bears are thrilled when they discover a hive of bees has moved into the Grumpy Woods and is happy to provide them with all the honey they could want. Naturally, the rest of the residents of Grumpy Woods are NOT happy about the bees arrival. They like their woods nice and grumpy the way they are, and they are most definitely NOT going to eat any honey, well, except maybe Squirrelly Sam. At first as the bees business gets buzzing the bears are able to eat all the honey that is produced. But eventually all the sugar sends them into an early hibernation, leaving Mayor Quill and the other residents of the Grumpy Woods with too much honey on their hands. This third book in the series is as delightful as the first too. The contrast between the grumpy residents and the Super Happy Party Bears is amusing and the bright colorful illustrations are very appealing. 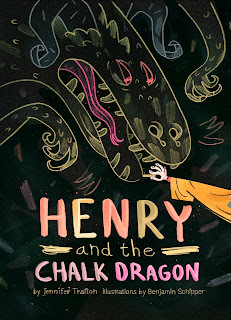 This is a great series for young readers who are ready to move on to early chapter books. 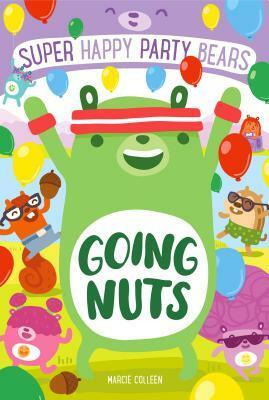 What do you get when you have a bunch of happy-go-lucky bears who are more than willing to share what doesn't belong to them, a bunch of scared-y-cat squirrels, militant chipmunks, and the grumpy residents of Grumpy Woods? Well, you end up with a RUMBLE (or NOT if Mayor Quill has his way, which he usually doesn't). The chaos and confusion (not to mention secret hideouts and nut stashes) makes this an amusing book to read. I had to wonder how things were going to turn out. 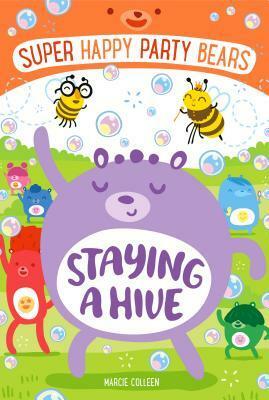 This is a fun series for young readers with bright, attractive illustrations that bring it all to life. I wasn't sure what to expect when I picked up this book, but the description rather intrigued me. And the book certainly didn't disappoint in that regard. The plotting here is masterful as the author tells the story through the eyes of an unknown narrator (unknown until the end that is) with plenty of side comments from said narrator that leave you wondering exactly who this person (?) is. And that doesn't even count the five other story lines, one for each cabin of girls at the camp, each of which takes on a life of its own, until each of the individual story lines comes together at the end. 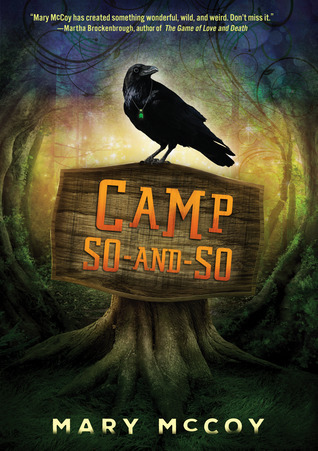 With 25 girls as well as Tania and her minions who live at a leadership camp across from Camp So-and-So, not to mention Robin, the assistant camp director, as well as the mysterious Inge F. Yancey IV and the mysterious narrator, there are numerous characters to try to keep track of here. 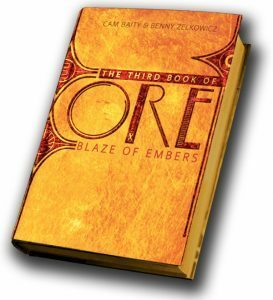 Because of the large number of characters, all of whom play a significant part in the story, this book works best for more experienced readers who can manage to keep track of what happens to and with all the different characters, especially since some of the characters aren't even given names. It's clear from relatively early in the story that there are some supernatural elements at play in the story. This gives the story a rather creepy, mysterious atmosphere. And the complicated collection of events and events makes the book one that is almost impossible to predict. I can safely say that I've never read a book quite like this one. In terms of content, there is some kissing (girl/girl, girl/boy) as well as a moderate amount of violence (several deaths and almost deaths occur). All in all though this is a book to share with readers who enjoy the spooky, the odd, and the weird. Even the ending isn't quite what one would expect. This one could make for a pretty awesome book talk.